Breakout working group from a session at Fearless Cities on ‘Building non-state Institutions’. Bertie Russell.The last decade has been a miserable decade. As the global capitalist socio-economic system continues to seize up, and as inequality deepens both between and across nations, the Global North has been met with a reactionary nationalist backlash. This backlash has been fuelled by the common narrative that it is malevolent ‘outsiders’ that are the cause of our problems – Mexicans, European migrants, the poor, the disabled, the working class, and so on. From so-called ‘moderate’ politicians to blood-baying ethno-nationalists, the response has been to empower those calling for a resurgence of the nation-state – to put up boundaries, borders and walls and to expel all those individuals and institutions allegedly intent on benefiting at our expense. The left ­– especially in the UK – remains without a coherent vision or a set of strategies to drive a real movement towards a world after capitalism. We need to think of a different scale for our politics, of different ways to build and exercise leverage, and of a different understanding of who can become a ‘revolutionary subject’ – those people who, through the virtue of the position they occupy in society, are in a privileged position to change how we organize our everyday lives. This doesn’t mean rejecting all that has come before, but it means recognising the need for us to generate political strategies that make sense in a world that is organized very differently to 40, 60 or 100 years before.It means recognising the need for us to generate political strategies that make sense in a world that is organized very differently to 40, 60 or 100 years before. We take our starting point as the actually existing practices emerging at the municipal scale. The cities are ours. Amy Clancy (@amyclancyuk). Some rights reserved. The idea of the ‘demand’ has long been at the heart of political organising. Some demands are framed as an opposition – an end to a war, the privatization of water services, the rule of a dictator, or against the closure of a local library. Other demands are framed as a demand for something – the right to vote, the 8-hour day, equal access to healthcare, a wage-increase, or for national secession. These demands are evidently different in terms of what they immediately want to achieve, yet there are also fundamental differences in the very nature of the demands themselves.Directional-ism is the premise that we must develop and evaluate practices and processes according to… their ‘beyond-capitalism dynamics’. lIf the ‘municipal’ scale is where directional demands should be made, then who are demands made to? And who makes these demands? Where and how do those who don’t live in towns or cities fit into a political strategy that focuses on the municipal? Ada Colau and Manuela Carmena open the Fearless Cities conference in Barcelona on June 9, 2017. Bertie Russell. We’ll be hosting a series of discussions and workshops at the Plan C Festival, held 1-3 September 2017. We intend to invite those working on radical municipalist strategies to join us. 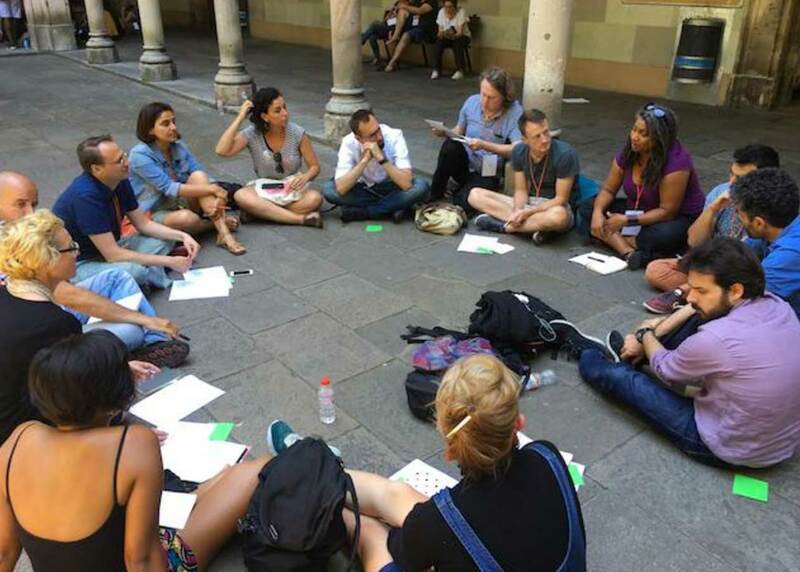 Through these activities, we’re looking to actively network together organisations interested in developing radical municipal strategies, learning from groups that already exist, and helping share lessons across cities.